New homes for sale in Walnut Bend Springtown, Texas. Why would you shop for a new home in the Walnut Bend subdivision? Walnut Bend is a beautiful neighborhood of single family homes that is conveniently located just 20 miles outside of Downtown Fort Worth. Just a short drive to Weatherford, Texas. It's not uncommon to see neighborhood kids playing the streets of this little hidden gem near the square. It's far enough from the main hustle and bustle of the busy city that homeowners don't feel like the urban center of Fort Worth is knocking on their door. 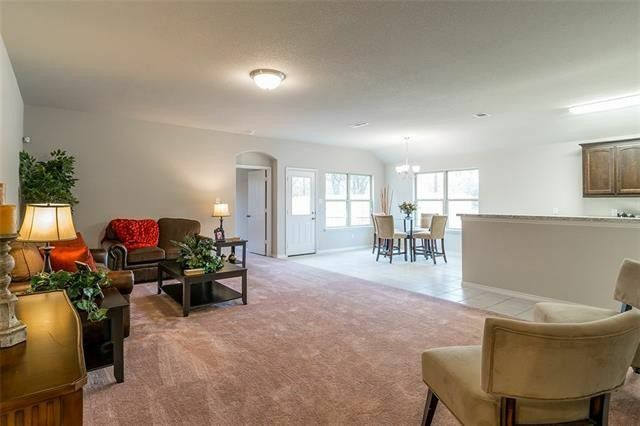 Looking for a three or four bedroom home in Springtown in a nice neighborhood under $200,000? The homes you would expect to find for sale in the Walnut Bend Neighborhood are generally going to range between 1200 and 1600 square feet. Many of the homes near this subdivision are older, on pier and beam, some are rock homes on concrete slabs and others are older two stories on over sized lots. Our new three and four bedroom homes are between 1595 and 1695 square feet. Single and two stories are available. Each home has new landscaping and a new six foot privacy fence. Sidewalks for walking your fur babies and scattered trees provide shaded yards. What's Going on near the Walnut Bend Neighborhood? Walnut Bend is located within walking distance to the park, Springtown Square and two major highways. On the square you can shop, find a variety of mom and pop diners and take care of a few business errands. Still small town with only one high school. Springtown has a very active sports program. You can view more information about the Springtown ISD by visiting the Springtown ISD website. Take a look at our new homes in Walnut Bend. The model home is located at 257 Walnut Bend Road. Stop by any Monday - Saturday between 10 am & 5 pm to talk with a new home sales consultant. Good morning Melissa. Sounds like is is going to be a stampede at that price point! Enjoy your day! Find TX real estate agents and Weatherford real estate on ActiveRain.